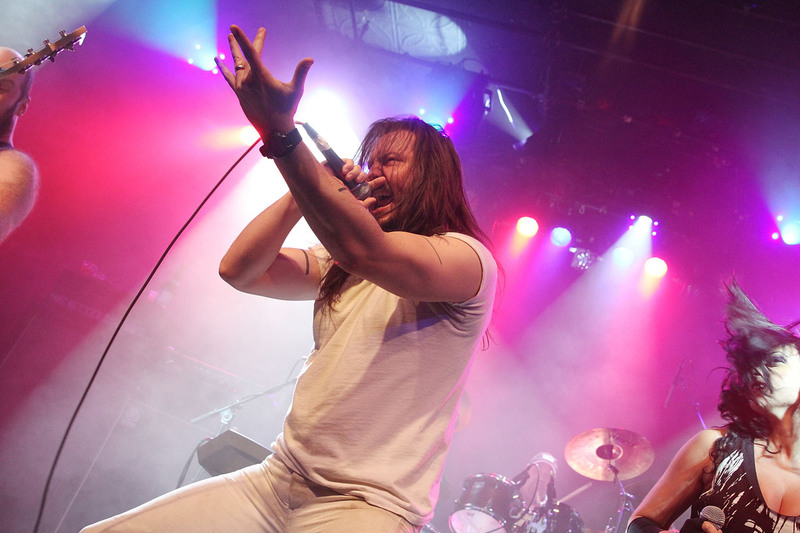 Random Questions With: Andrew W.K. This rocker VIP parties hard. The musician shares tales of his humble beginnings gigging at Starbucks, and then answers a series of questions about how to be the life of the party. "Not being dead is my version of partying. So far, so good." - Andrew W.K. Hear Andrew play "Jesus Christ Super Quiz"
Rock star and self-proclaimed professional partier Andrew W.K. is nothing short of a renaissance man. While the traditionally trained piano player is best known for rollicking hits like "Party Hard" and "It's Time to Party," Andrew has also tried his hand as a TV show host, a motivational speaker and, currently, a weekly advice columnist for The Village Voice. If there's one thing Andrew has maintained throughout the course of his career, it's staying positive — especially during his first few years in New York City. "I was an opera ticket salesman, a bubble gum ball machine salesman, a retail clerk at Kim's Video when they had their location on St. Mark's Place [in New York City's East Village]. I also worked in the window, dressing displays at Bergdorf Goodman," Andrew told Ask Me Another host Ophira Eisenberg about the assortment of odd jobs he once held down. "The one good thing about just about every job was there was someone there that would always make me laugh all day that helped make the rest of it less painful." When we asked Andrew what topics he would be interested in being quizzed on, we discovered that he and house musician Jonathan Coulton share an abiding (some may say obsessive) love for the musical Jesus Christ Superstar. (Andrew prefers the London cast album). 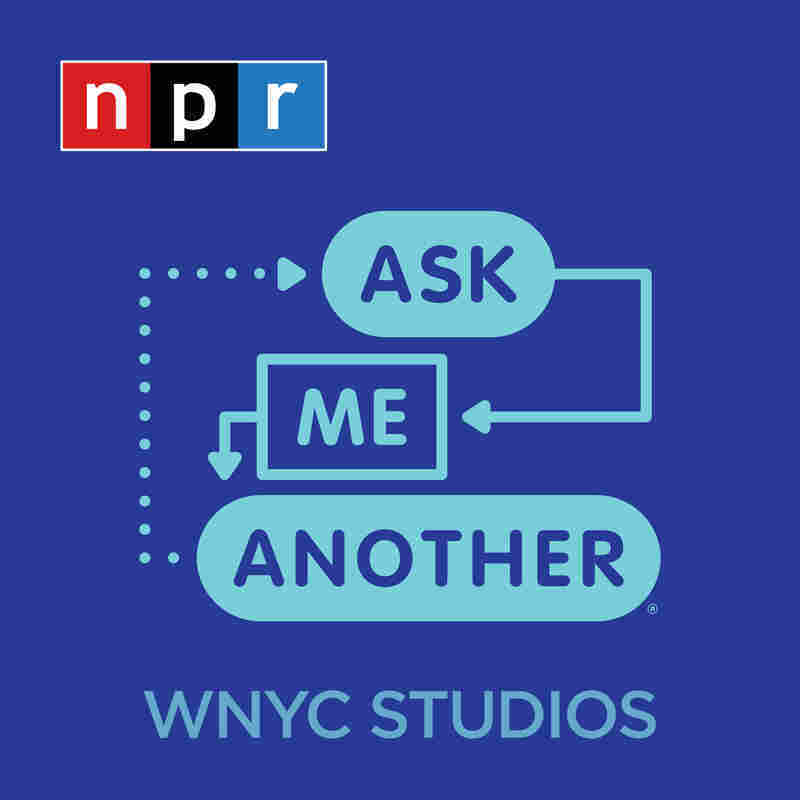 So in an Ask Me Another Challenge called "Jesus Christ Super Quiz," Andrew tackled questions about Andrew Lloyd Webber and Tim Rice's epic rock opera that's based on the story of Jesus. Plus, Coulton and Andrew perform a duet of the song "What's the Buzz?" 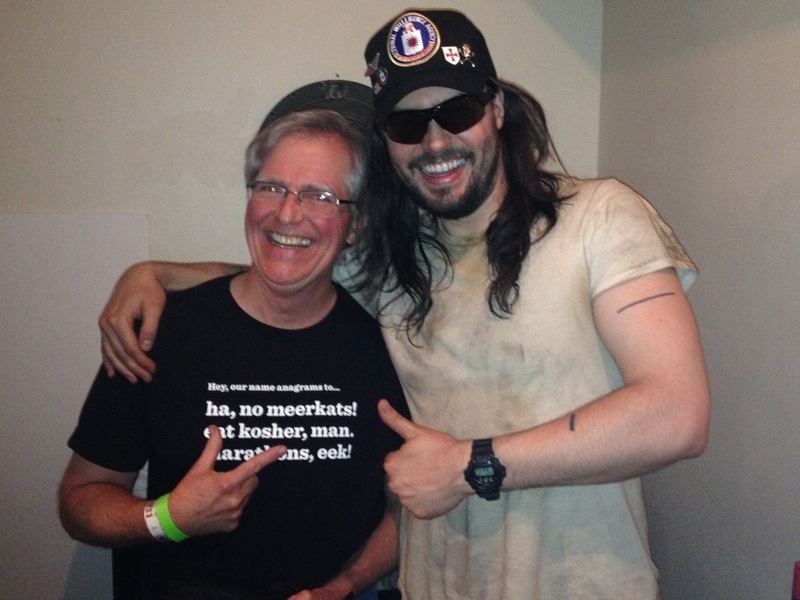 Ask Me Another winner Jim Naugle hangs out with Andrew W.K. backstage at Andrew's NYC show. On his personal definition of "partying"
Not being dead is my version of partying. So far, so good. It's not a biography, or even very anecdotal. I'm trying to make it more like a new age sort of "self-help through partying" concept. One thing I've been working on with it lately is this idea of how to have an open mind or maintain an open mind, and it seems to involve staying in a state of doubt, questioning everything, which we've heard people say that. But I never really understood what that meant. So you even have to question the idea of questioning things, but not too much, or then you won't be able to think at all. But that's an interesting thing when that happens. I do think it's Andrew Lloyd Weber's best musical. I also think it's one of the best rock albums ever recorded, musical or not. And the cast, the singers they had were just mind-blowing, and there's a rawness, and an immediate quality to all the performances. They probably did it in one take.